The JOAS Nature Hotel B&B constitutes a part of Alpine history as the boutique property gets praised for its amazing hospitality and location. JOAS is situated in the modest holiday village San Candido (Innichen), within the high valley of the Dolomites UNESCO World Heritage site and effortlessly pairs tradition with modernity. With an abundance of winter sports and summer activities to enjoy throughout the year, JOAS is the perfect base to lay your head down and revitalise. This family-run hotel is managed by Matthias and his wife Christina. Matthias’ brother, Michael, is a top-notch ski instructor who can teach you to improve your skiing skills. Guests can book double rooms or apartments, depending on the space needed to accommodate. The natural light-filled rooms are all furnished with local materials and include a safe, flat-screen TV, free WiFi, telephone, sofa, wardrobe, towelling robes and bathroom slippers. A generous buffet breakfast is also offered to guests and consists of fresh regional delicacies and Italian coffee. 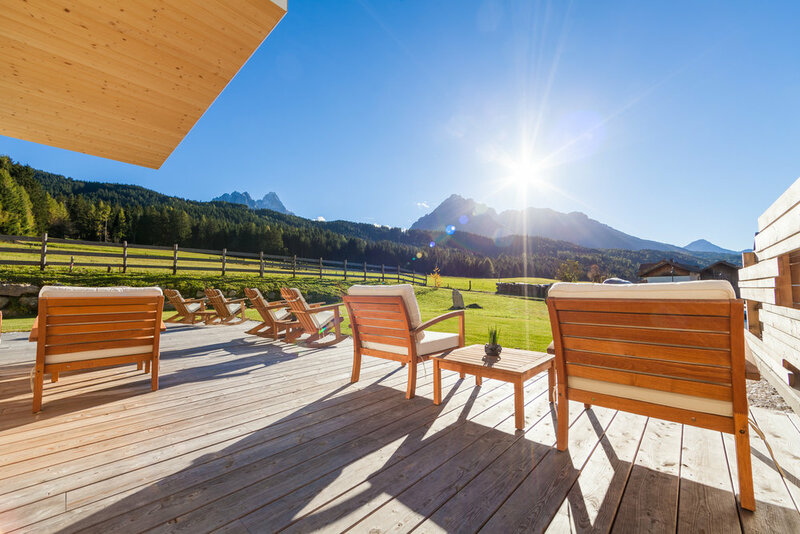 JOAS is the epitome for wellness and relaxation and includes a blissful experience in the attic, which has breathtaking panoramic views of the Sesto Dolomites and Alta Pusteria. Additionally, guests can experience a surreal experience in the age-old traditional Finnish sauna. A steam bath and tropical showers to cool down are also available. The summer months are all about wellness immersed in nature, as you can stroll across meadows, woodland paths and pine cones. Yoga and meditation are on the agenda, should you wish to cleanse your lungs with fresh mountain air and restore your energy.